I am going to food process everything I own. I’ve heard about vegan ice cream for a while now. (vegan ice cream = frozen bananas in the food processor) Due to the fact that I am the self-appointed ice cream queen, I was never in a rush to try it. But after slightly too much gluttony on the weekend, I decided to give it a go to indulge my sweet tooth without ripping my pants wide open. Seriously. As I was eating my fancy new treat, I thought. This is crazy, I love this and I don’t even really like bananas unless they have peanut butter on them. And then it hit me, as I ate my last bite. How did I not incorporate peanut butter into this creation!?! Sometimes I just dont have my head in the game. 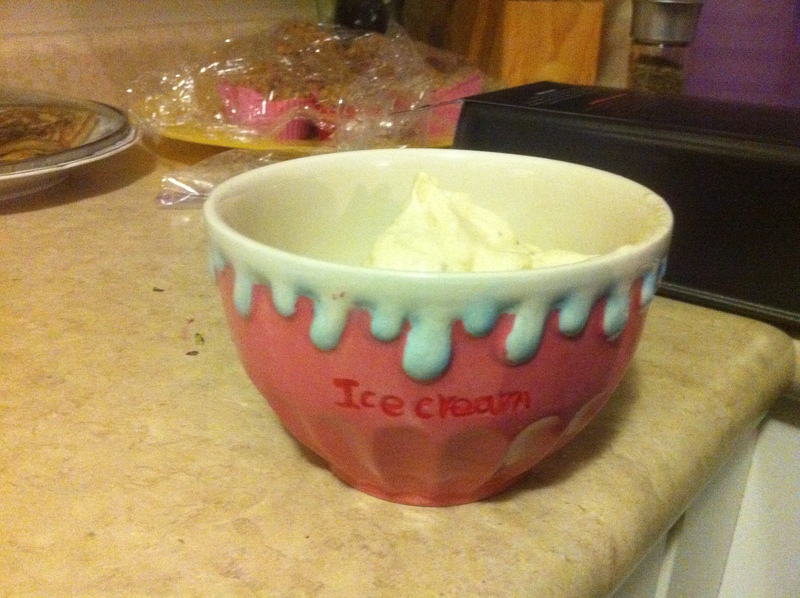 I loved it enough to let it sit in my special ice cream bowl! true love. so all you have to do is put some bananas in the freezer for a few hours and then blend them? this is too easy not to try! 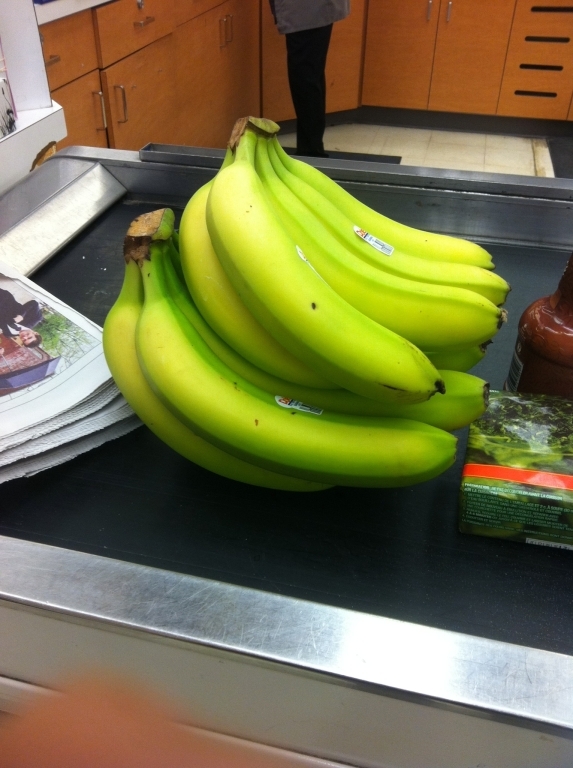 Any suggestion on how ripe the bananas should be for optimal flavour? I’m guessing the more ripe, the more flavour, but texture-wise it might differ? I have some bananas in the freezer right now..I was saving them for a green monster, but since I dont have spinach, vegan ice cream it is! I LOVE banana soft serve! However, I need to get a food processor STAT. 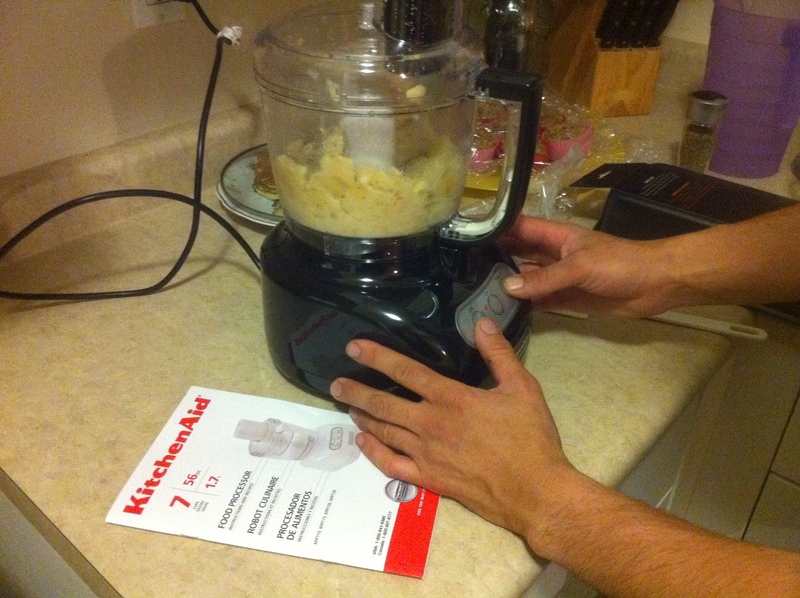 I tend to just mash up my banana with a fork, but this food processor method seems easier…and…classier, or something. hehe. Kristen Wiig is amazing, right?! I cannot get enough of her. I recently discovered she was in this scripted reality show Joe Schmo Show (can be found on Youtube), so hilarious!